Hi guys. 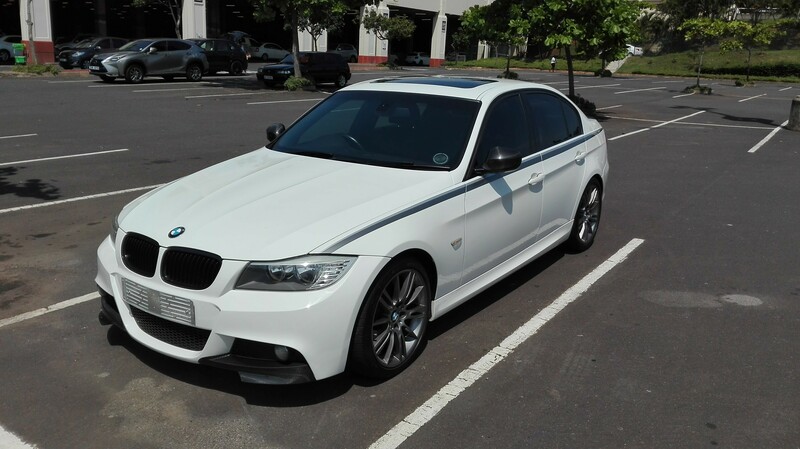 I've found a 2011 320d e90 m sport auto with 100 000km. Private sale. Owner bought it from a friend at 85 000km two years ago. He did mostly short trips. Overall condition is good apart from a few light scratches and the front bumper not fitted properly. No evidence of accident damage. Drives well. Tracks well and no noises from the suspension. Gear changes smooth. Took it from 50 km to 120km using kickdown and power delivery was good not as good as a 320d with software though. Got stuck in traffic for a few minutes and no issues there either. Error codes on dashboard indicate a burnt out bulb and low windscreen washer fluid. 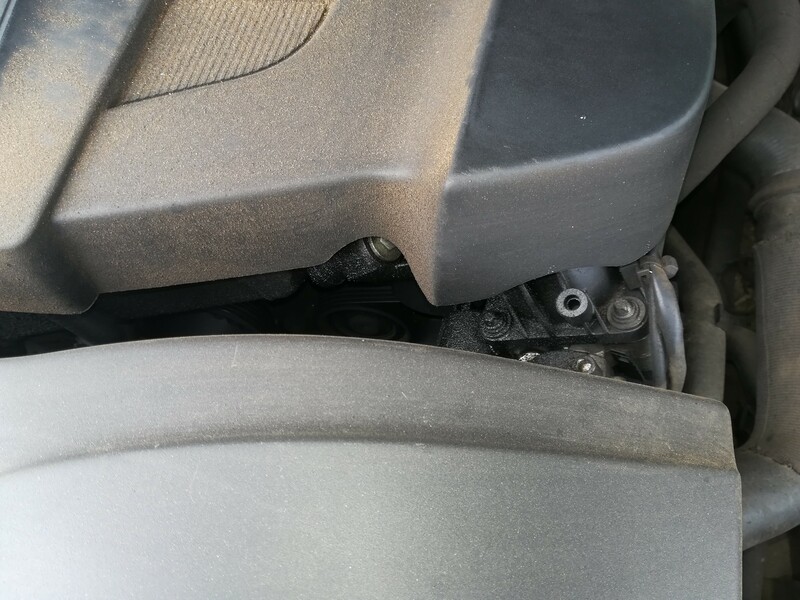 I opened the bonnet to check the damper pulley and it looked fine with no cracks but I was greated with a lot of oil or soot on the front section of the engine. From my research on the forum and off it points to the egr cooler seal or the egr cooler itself that's the problem. Please forgive me as my mechanical knowledge is not so good. My mechanic will only be able to look at it on Saturday. Please advise. Is it serious. Should I call it off now. Thanks. Some pics I managed to get. If I do go through with the sale can someone please advise on the safest way to do the purchase ( cash deal not finance) and the process to get the vehicle registered on my name. I've only purchased one vehicle privately that was 15 years ago. My late dad handled everything and registered it on his name. Thank you. If it doesn't leak oil it's not a bmw, goes one saying haha! I've lived with leaks for years and repair them and another develops somewhere. So panic not, your mechanic will sort it out. 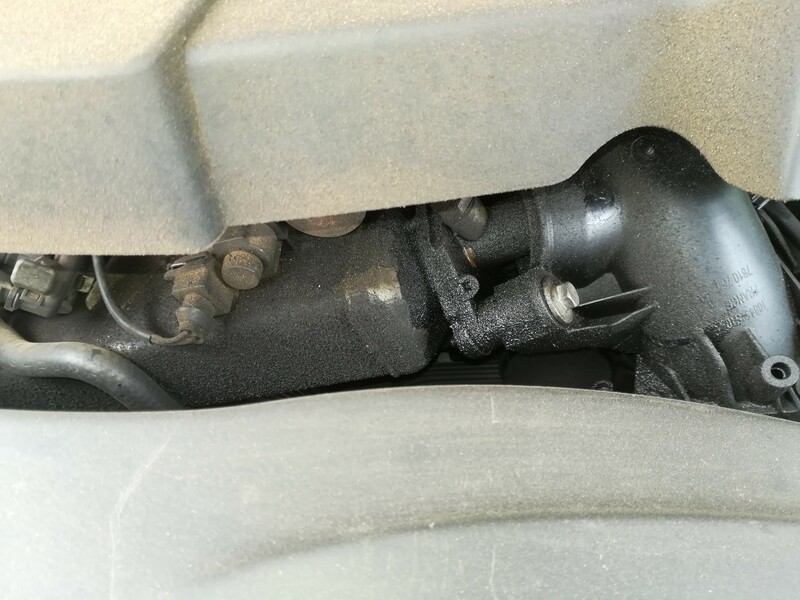 By the looks of it, it could possibly be the EGR seal leaking exhaust gases which is causing the soot buildup and also maybe the EGR Thermostat which is leaking and causing it to look a little oily, but hard to diagnose without actually pulling the engine cover off and physically checking. If it is the Thermostat then its a cheap fix at least. I'd say have the mechanic just double check it and if its nothing major then grab it as long as its the right price hard to find 320d's with low mileage these days and the ones that you do find people are generally asking an arm and leg for them. (13-02-2019 06:10 AM)Diesel Wrote: Hi guys. 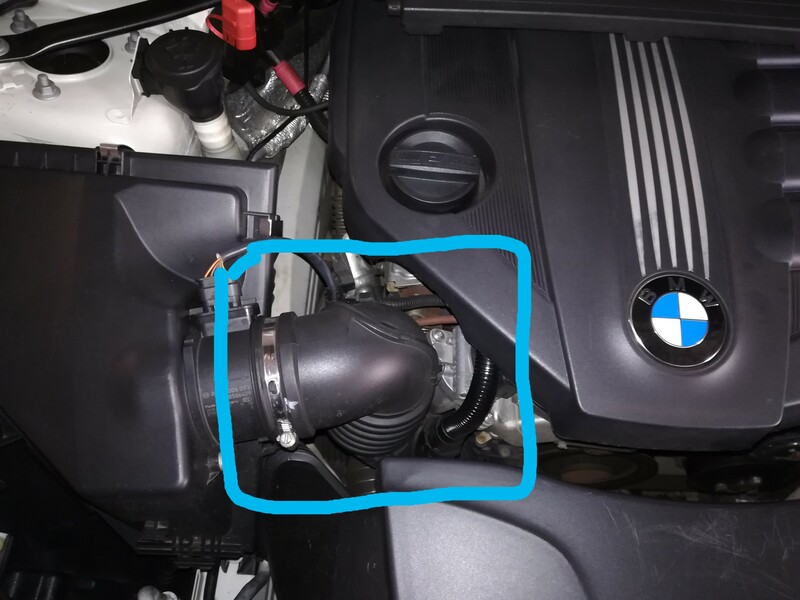 I've found a 2011 320d e90 m sport auto with 100 000km. Private sale. Owner bought it from a friend at 85 000km two years ago. He did mostly short trips. Overall condition is good apart from a few light scratches and the front bumper not fitted properly. No evidence of accident damage. Drives well. Tracks well and no noises from the suspension. Gear changes smooth. Took it from 50 km to 120km using kickdown and power delivery was good not as good as a 320d with software though. Got stuck in traffic for a few minutes and no issues there either. Error codes on dashboard indicate a burnt out bulb and low windscreen washer fluid. I opened the bonnet to check the damper pulley and it looked fine with no cracks but I was greated with a lot of oil or soot on the front section of the engine. From my research on the forum and off it points to the egr cooler seal or the egr cooler itself that's the problem. Please forgive me as my mechanical knowledge is not so good. My mechanic will only be able to look at it on Saturday. Please advise. Is it serious. Should I call it off now. Thanks. Some pics I managed to get. Actually messaged the owner last week, but didnt get a chance to view it...I think its advertised at a very decent price for this specific model...320d msports with low miles arent readily available. In terms of going through with the purchase, you will need to get the blue and yellow forms from a licensing office, a purchase agreement form (google has plenty templates to copy), copies of IDs (proof of residence isnt required, but always nice to have). Safest form of payment is a bank transfer in a bank of your choosing. ND533527 - Black 320d Auto, 2011-03-26 model, with 77553kms listed 2016-08-29. No SAPS marks, and owner history shows 4 owners plus 3 dealerships plus Wesbank in 2014. Current owner is Mr Naidu as from 2016-05-16. On Saturday I'll get the motorplan printout and go through it with my mechanic. But already I can see that the sellers story is different to Coismans report. The purchase time and mileage that he did. Thanks JodyD. The seller said 2yrs ago but actually it's 2 1/2yrs ( the date he purchased is 2016/05/16) then he said at 85 000km but the last listed mileage is 77 553km at 2016/08/29. Will speak to him on Saturday. Thanks Nikhil. Hope it's not the turbo. I'll get more info on Saturday and update. 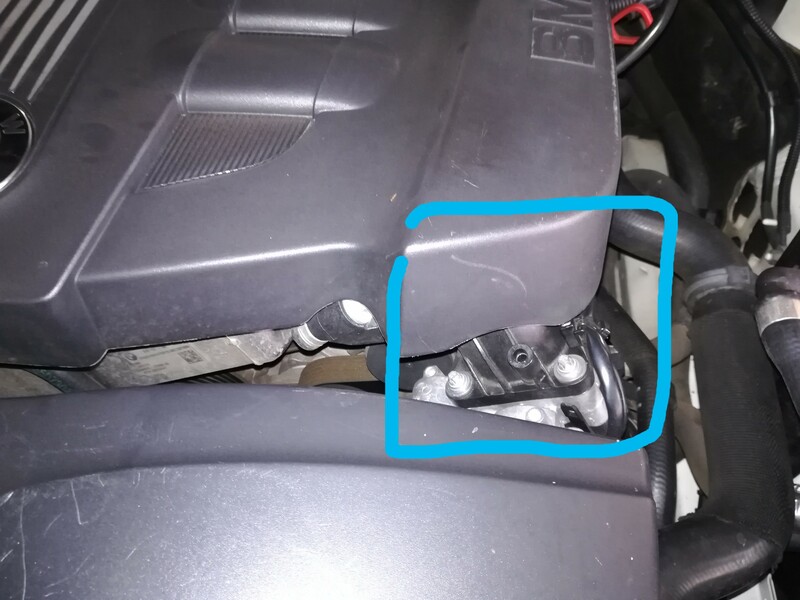 Car has oil leaks from oil filter housing gasket and two other parts (pics attached) need to be replaced. Parts cost around R 5000 from BMW. 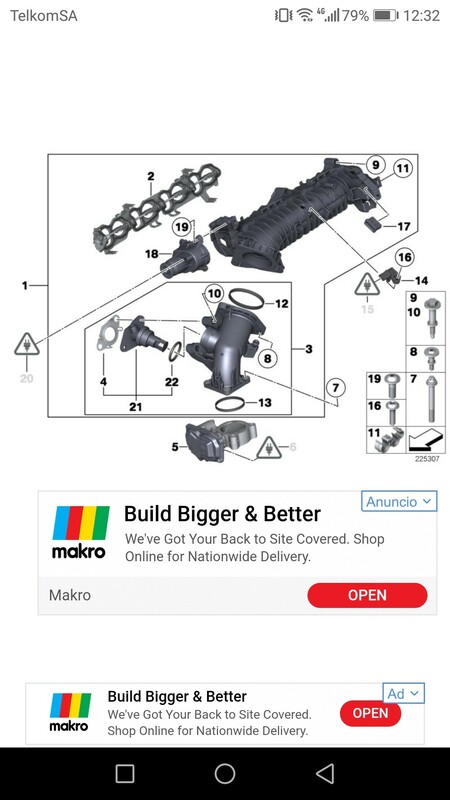 Front shocks leaking and stabilizer links need to be replaced. Car has 3 comments. My mechanic assured no structural damage. Looks like boot lid, front fenders and bumper. Turbo was replaced under plan at 72 000km. Seller dropped his price but I need to confirm by this evening. Any advice would be appreciated. 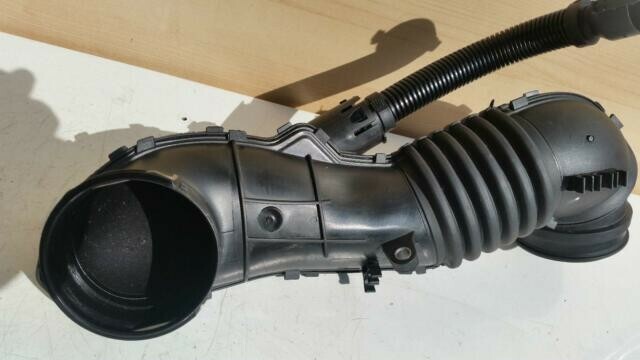 Couldn't find it a pic of the pipe. I believe the car is sold, did you take it? (17-02-2019 01:07 PM)PsyCLown Wrote: I believe the car is sold, did you take it? Thanks everyone for the advice. I really appreciate it. I'll be taking delivery during the week. Hopefully there's nothing else seriously wrong with it. Nice man, congrats! I'm jealous! Was seriously eyeing it from up here in JHB even, was gonna get a friend to take a look before I fly down to see for myself. Then I saw you were already dealing with the seller. Hopefully you get her sorted soon and she gives you no trouble in the future. I'm sure you'll enjoy her! I can understand why though! Thanks. I will never sell the 320d Dynamic Edition.